There are many great indoor activities for a birthday party for kids. Arcades, rock walls, and bounce houses are all great kids activities. Jump’n Land is one of the best kids’ birthday party locations in Texas. We provide these interactive activities for children at a birthday party to enjoy. Jump’n Land provides a variety of party packages that are great for a kid’s birthday party. These activity options are entertaining for children and affordable for parents. Jump’n Land also provides food and colorful paper products to enhance the experience. Therefore, parents can let their children enjoy themselves and they can focus on other aspects of the party such as socializing with other parents. An arcade is a great activity for a kids birthday party. Having a party at an arcade has many benefits such as convenience and safety. All of a child’s entertainment needs are in one space which allows parents to watch their children in one area. Children will be entertained for an extended period of time as a result of the various types of games in an arcade. Parents do not need the added stress of making sure their children are entertained and can focus on other aspects of the party. An arcade is an affordable party option for parents. All of the entertainment is located in one room which eliminates other fees. Jump’n Land offers free tokens for the birthday child to use at their leisure in one of their special birthday party packages. Having a rock wall as a birthday party activity is an excellent option. A rock wall will provide a unique experience for children along with many benefits. The benefits include improving strength, endurance, building confidence, and self-esteem. Jump’n Land provides a great rock wall for children to use for a birthday party. We will provide children with a safe and enjoyable rock-wall experience. In addition, we have trained staff to assist children in putting on the equipment and helmet in order to implement the proper safety measures. A bounce house is a wonderful party option for a kids’ birthday party. A bounce house is a great way for children to be entertained. Jump’n Land has a private play zone with four great inflatables for children to use. Depending on the party package, we provide children with hours of time to spend in the bounce houses. A bounce house is a great way for children to have fun in a safe environment an can interact with other children. Jump’n Land is a great destination for a kids’ birthday party. We are one of the best birthday party places in the state of Texas. 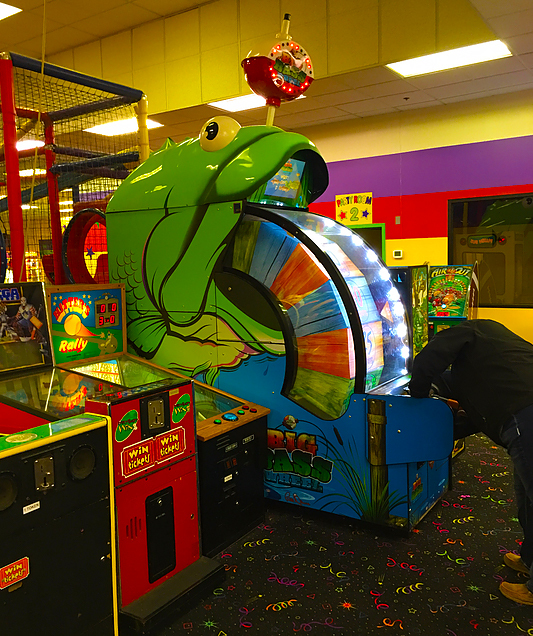 Jump’n Land has a variety of entertainment options for kids to enjoy at a party. Call us today at (903) 893 4350 to find out about our birthday party entertaining birthday party packages! Have Your Next Kid’s Party Indoors!